The Cantech Edge Pro Delicate masking tape range provides a combination of premium orange paper with a specially formulated acrylic adhesive, for crisp paint lines. Low tack adhesion with 60 days clean removal. ▪ Premium paper – We’re using a specially saturated flat paper that is both denser and thinner than traditional crepe paper. This helps create a barrier against edge bleed. ▪ Premium adhesive – Our acrylic adhesive includes special additives that help create a barrier to edge bleed. 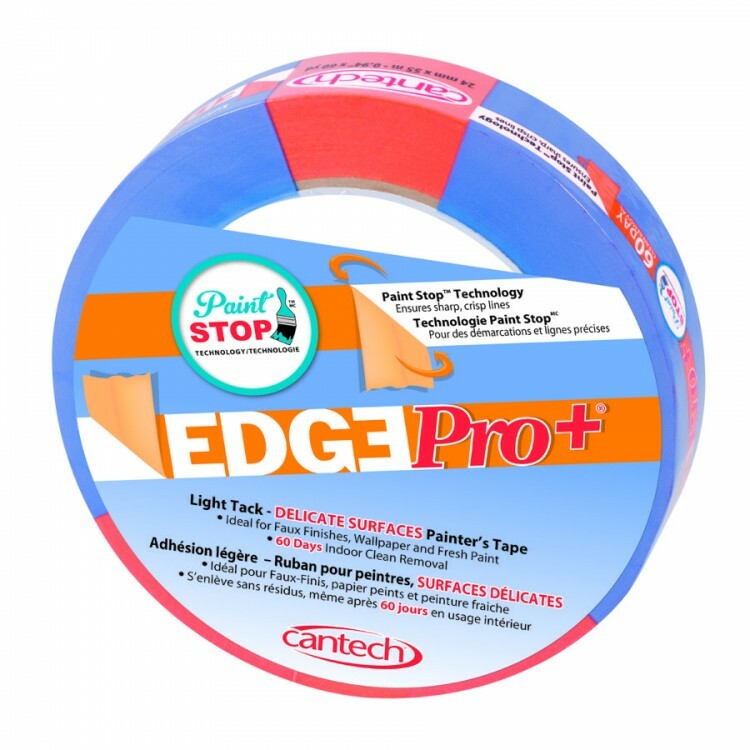 ▪ Focus on converting – A sharper paint line requires a sharper edge to the tape. We’ve modified our converting processed to ensure we get that extra sharp edge. Recommended for delicate surfaces, faux-finishes, wallpaper and fresh paint.